According to invitations for the secret fundraiser (which vanished from the BC Liberals website only hours after the event) high-rolling donors would be treated to a “special briefing” by Dimitri Pantazopoulos, a former pollster for Christy Clark and Stephen Harper. 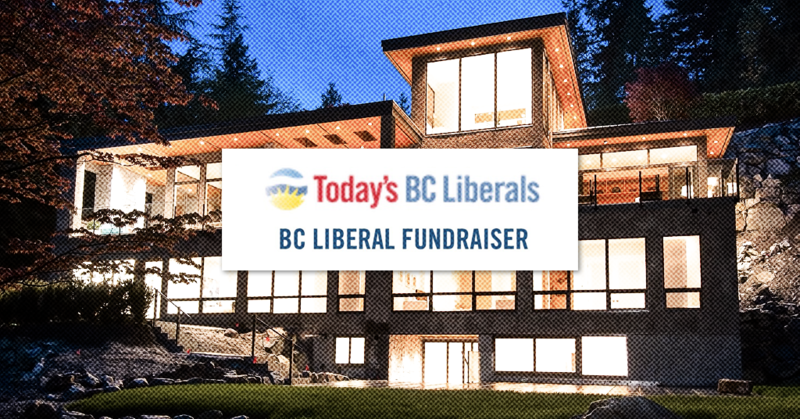 The invitation indicates the event was organized by former BC Liberal finance minister Kevin Falcon and industrial developer Ryan Beedie, a top BC Liberal donor. Other than Falcon, Beedie, Pantazopoulos, as well as Michael and Joy Phelps, it remains unclear who else attended the fundraiser. 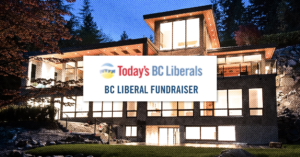 It also remains unclear why the BC Liberals wanted to keep the fundraiser secret in the first place. Last year, Justin Trudeau’s federal Liberals faced heavy criticism for holding secret fundraisers in the private homes of wealthy donors. Phelps is a longtime player in the energy industry and the Chairman of private investment company Dornoch Capital Inc. Elections BC records show the corporate executive personally donated $4,300 to the BC Liberals since 2005, with an extra $9,500.00 and $5,000.00 respectively coming from his companies: Westcoast Energy and Dornoch Capital. Phelps also donated $5,000.00 to Andrew Wilkinson’s leadership campaign earlier this year. Meanwhile, Beedie and his companies have given the BC Liberals nearly a quarter-of-a-million dollars since 2016. If you’ve noticed the Toronto Sun’s been weirder than usual lately, you’re not alone – many of Canada’s most respected journalists have noticed too. 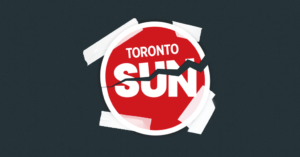 While Postmedia CEO Paul Godfrey has been laying off journalists and running his newspapers towards bankruptcy, it increasingly feels like the right-wing tabloid has absolutely no filters or quality controls whatsoever.